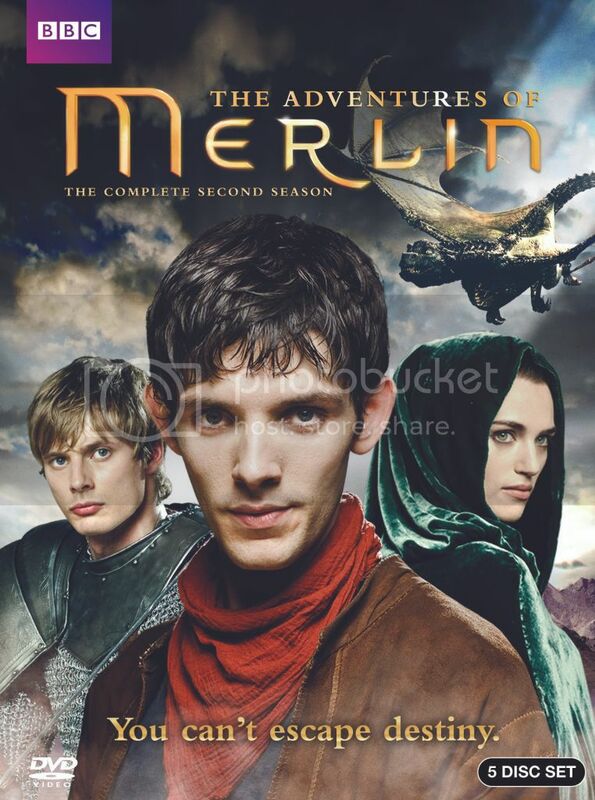 Synopsis: Merlin is back with even more magic, adventure and romance as the young wizard struggles to protect Prince Arthur in the perilous world of Camelot. While battling deadly assassins, mystical monsters and the most powerful sorcerers Camelot has ever seen, Merlin must work harder than ever to conceal his unique abilities, as King Uther redoubles his war against magic. And Merlin isn’t the only one whose destiny calls—Lady Morgana , Uther’s ward, discovers dangerous secrets she dare not reveal; Lancelot returns, changing everything for both Gwen and Arthur; and King Uther fall in love, little knowing that the charming Lady Catrina is secretly a hideous troll. And as Arthur continues on his path from arrogant prince to the noble and just King Arthur of legend, we see the return of the one prophesised to kill him—the mysterious druid boy, Mordred. Featuring exciting new villains, white-knuckle stunt sequences, and spectacular CGI monsters, Merlin season two is more thrilling than ever. I have heard of this show before and I actually had watched a episode of the first season when it aired out here in Canada and tought it was good. Unforuntely I always seem to missed it when it aired. Anyways, since I currently have a cold I sat down for a few hours yesterday and watched the first 2 dics of season 2. I am now hooked on this show. This show is funny,exciting,and magical. What is there not to love?